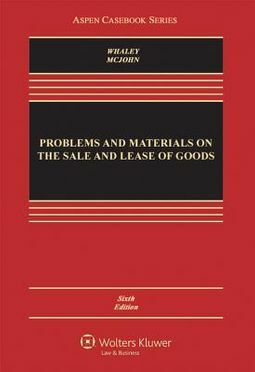 A popular and concise casebook, Problems and Materials on the Sale and Lease of Goods, is co-authored by Douglas J. Whaley, a recognized master of the problem approach. 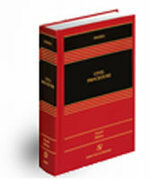 Designed as a guide to broaden students' knowledge of the sale and lease of goods, it focuses on the exact statutory language of Articles 2, 2A, 5, and 7 in the Uniform Commercial Code and related federal statutes, while stressing practical problem solving. The Sixth Edition welcomes new co-author Stephen M. McJohn, an accomplished professor and author of numerous casebooks and law review articles on copyright and commercial law. It has been thoroughly updated to include a wealth of new cases, problems, and recent developments and issues in the field. Features: Distinguished author Whaley is nationally recognized for his ability to clarify complex topics and widely regarded as the master of the problem approach. Effective problems approach enjoyed by professors and students alike. Clear and lucid writing style. Modular organization follows the order of the UCC and allows for greater teaching flexibility. Comprehensive case law coverage illuminates the courts reactions to the issues. Straightforward and practical problems with interesting fact patterns illustrate the relevant issues and contextualize consumer law statutes and regulations. Concise, manageable length allows complete coverage of all topics. Accessible treatment of black letter law helps students understand the statutory language in the Uniform Commercial Code. New co-author Stephen M. McJohn ushers in the thoroughly revised Sixth Edition with: Important new cases, developments, and issues, including: Scope: problems and cases on whether software is a good . Shrinking distinctions between services and goods. Open price terms, installments contracts, and requirements contracts. Unconscionability. Rising commodity prices and the impracticability doctrine. Interpretation of Hell or High Water clauses in leases. Entrustment and the unauthorized sale of a Warhol painting. Warranty disclaimers on used vehicles. Warranty of title and intellectual property infringement claims. Privity issues. Statute of frauds and battle of the forms issues in online communications. 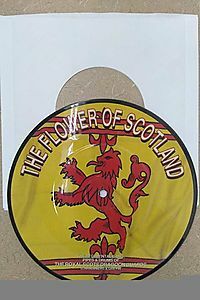 Whether an aggrieved manufacture may sell specially made goods under the breaching buyer's trademark. When a promise to repair or replace defective goods negates obligation to pay damages. When an aggrieved buyer may get specific performance, requiring the seller to produce the goods. Which papers qualify as documents of title. When banks may get reimbursement for payment under letters of credit. New and updated problems.